Where the mountains meet the desert. 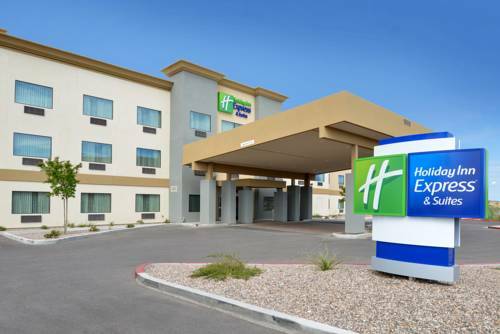 Our Holiday Inn Express & Suites Globe hotel is conveniently located in the heart of Globe, AZ. This Arizona town offers breathtaking scenery and well-known attractions. Appreciate the beautiful desert landscape against the backdrop of the Pinal Mountains. With so much to see and do, our Globe, AZ, hotel is near something for everyone. If you are feeling lucky, join the action at Apache Gold Casino and experience the thrill of blackjack and slot machines. Play a round on Apache Stronghold Golf Course, an 18-hole course. Tour Besh-Ba-Gowah Archaeological Park and discover a Native American culture more than 700 years old. Or visit Tonto Nation Monument's well-preserved cliff dwellings which were occupied during the 13th-15th centuries. Fish Roosevelt Lake, or take to the water for a day of boating and water sports. Count on value and warm hospitality at Globes newest hotel. Start each day with Express Start free hot breakfast. Plan your days activities with free high-speed Internet access in your room or in our 24-hour Business Center. After a day of sightseeing or meetings, relax in your clean and fresh room complete with our luxurious Simply Smart bed. Gunfights and raucous old west fun are the norm at a replica 1890s ghost town, based on the mining boom version of Goldfield. Museums, mystery spot, train ride, and a kid-friendly brothel.